WallPro WP300 2.3m x 50mm Belt Barrier | Order Today! The WallPro 300 is the more aesthetically pleasing sibling of the WallMaster range. This wall mounted belt barrier is best suited to hotel lobbies, office receptions and "front of house" applications where looks matter. With the addition of a streamlined and stylish ABS housing, the WallPro 300 looks less industrial and more attractive to the eye. Excellent for temporarily restricting access to areas like tills, elevators, escalators and conference rooms. 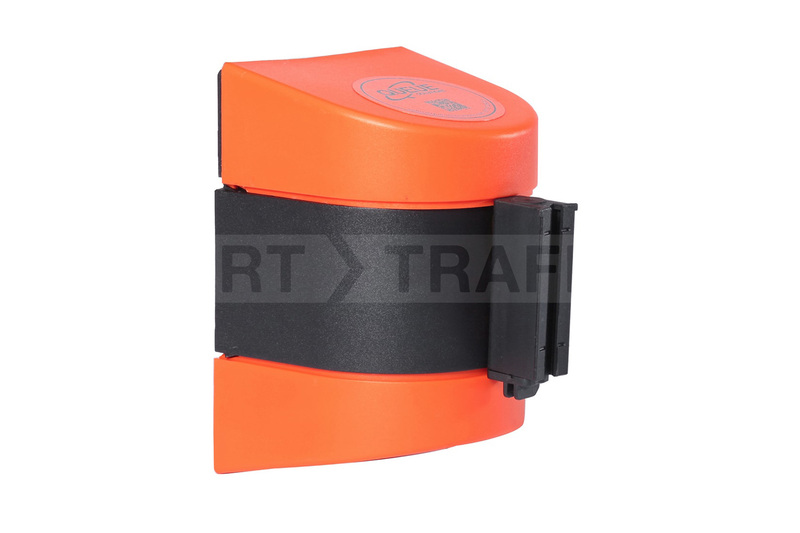 The body when the belt is retracted is discrete and compact. 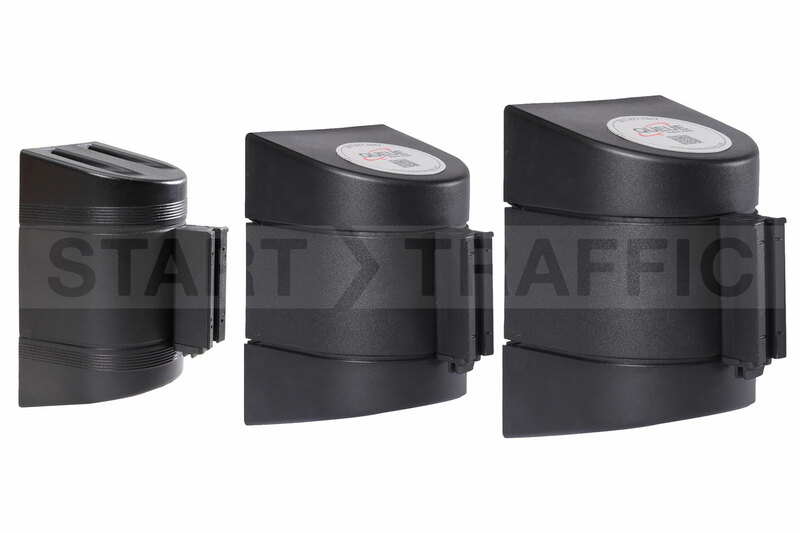 Hard Wearing ABS Housing - Ensures that the internal components are protected from heavy passing traffic. The shape ensures that if a passerby were to bump into the unit, there is nothing to snag or cause injury. Different Colours Of Housing - Depending on your decor you may require a different colour of housing. There are many options to choose from within the WallPro Range. Belt Colours and Messages - We can supply several colours, patterns and even messages on the belts. Custom belts can be produced to your requirements with custom branding and messages. Various Mounting Options - Although this listing is for a screw fit unit, we can supply the WallPro with a Variety of mounting options, Including Magentic, Screw, Pole Mount, Quick Release and Warehouse Racking fitment. Fitted with a 2.3m belt in a smaller housing this belt barrier is ideal for narrow doorways and openings. With a 4.6m belt installed within it, this unit is ideal for larger doorways and corridors. For larger openings, the WallPro 450 has a 6.1m long belt in a larger yet still discrete housing. Want to put something in an industrial environment? Check out this range with its metal housings. Have Questions About The WallPro Range of Barriers? Speak to our sales team on 01905 794 875, they will be happy to discuss your needs and budget or just answer any questions that you may have relating to our belt barrier range.